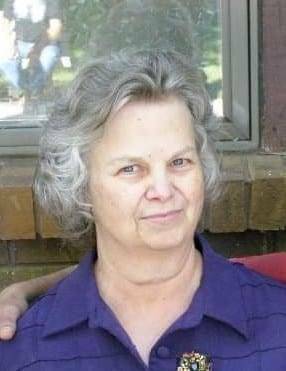 Louella R. Fields, age 74, of Fayette, passed away on Saturday, March 23, 2019, at St. Luke’s Hospital in Maumee. She was born in Pikeville, Kentucky on May 26, 1944, to the late James H. and Lassie (Charles) Reynolds. On August 23, 1964, she married James E. Fields, and he survives. Louella attended Pikeville College, graduating with a bachelor’s degree. She taught elementary school for several years. Funeral services for Louella will be held on Thursday, March 28, 2019, at 10:00 AM, at Faith Baptist Church. Pastor Randy Titus will officiate. Interment will follow in the Bayes Cemetery. The family will receive visitors at the Edgar-Grisier Funeral Home, on Wednesday, March 27, 2019, from 2:00 PM until 7:00 PM. Memorial contributions in Louella’s memory may be offered to Faith Baptist Church. Online condolences to the family may be offered at www.GrisierFH.com. The Edgar-Grisier Funeral Home in Wauseon is honored with Louella’s care and arrangements. 1 Comment on "Louella Fields (1944-2019)"
My thoughts and prayers are with the family. Louella made a lasting imprint on my heart and soul, to pursue the Lord with all diligence, and for that I am grateful.